If you require satellite TV, either as a new customer, when you are moving house or if you just require extra points, we can provide a service to cater for all of your needs, and as an authorised supplier we can order all of the equipment that is needed. 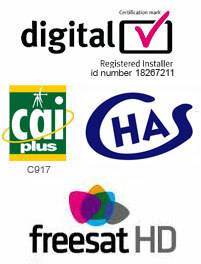 We are an independent installer and like to go the extra mile to ensure that our customers are completely satisfied. We are often referred by retailers and government bodies to perform difficult or environmentally challenging installations where the dish has to be very discrete, such as on listed buildings or in national parks or conservation areas. We do all we can to find ways of solving problems. It is all part of our job.